The annual Dulwich Shakespeare Festival was started in our school five years ago by Ms. Dorrington and the Visual and Performing Arts Department and has now become a highlight of the Dulwich-wide calendar of annual events. Our school does a different play every year and we have established a strong tradition of Shakespearean performances at DHSZ. The play that our students performed this year was the comedy As you like it. The Dulwich Shakespeare Festival was held in Shanghai this year. For our Performing Arts Shakespeare Co-Curricular group, the week leading up to the festival was Shakespeare Festival week. 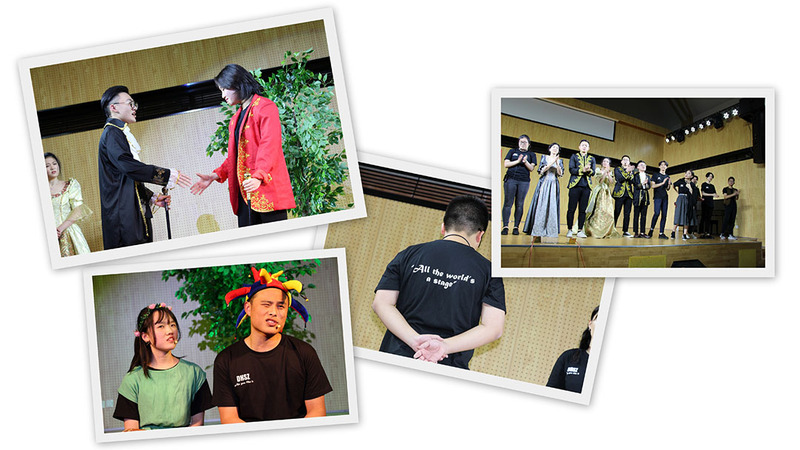 It started with three energetic and well-prepared performances of Shakespeare’s great comedy, As you like it, directed by Ms. Rebecca Dorrington. At the start of the week, the players performed in front of each year group of the school and all the audiences laughed a lot at the comedic, physical characters and the complicated love story.